Parrots can have very long lifespans, with most species of pet parrots living a minimum of 20 to 30 years. In fact, some species of parrot can live over 60 years! So you can see why the lifespan of a parrot really needs to be considered when choosing to add a species to your family. It is a long-term commitment that should not be taken lightly. Listed below is a table full of lifespan data for popular bird species. 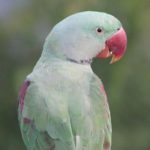 We researched this data from a range of scientific sources, such as genomics.senescence.info, animaldiversity.org, eol.org, and World Parrot Trust website. Click on the table headers such as “Species” or “Lifespan” to sort the table by name or years. (On mobile? Drag the table sideways to see more info). Also, use the search bar in the top right of the table to find a particular species. Note about the data collected: Large differences were often found in the age ranges of these scientific sources. When this occurred we tried to find the best average quoted. Differences probably occurred because there are so many species of parrot, that live for so long, the record keeping becomes difficult to keep track of by the owners. Spot any inaccuracies? Please let us know here. Some non-parrot species also included for comparison. 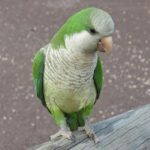 Let’s look at some of the popular parrot species that you are likely to encounter. In general, life expectancy is related to size, with larger birds living longer than their smaller cousins. 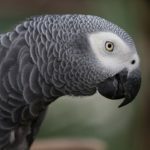 Renowned as perhaps the most intelligent of the parrot species, these birds can live to be 40-60 years old, with slight variation between the more common Congo Grey and the lesser known Timneh African Grey subspecies. This family of birds contains a broad number of subspecies and has an age range of 30 to 60 years. They are fairly common and can be found in Central America, South America and the Caribbean Islands. 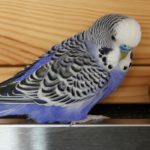 Budgerigars are very popular with new bird owners and are also called parakeets. Although small in size, they can still live up to 15 to 21 years in captivity. These noisy and playful birds, such as the Black Headed Caique and the White Bellied Caique, are likely to have lifespans of around 25 years. These friendly, playful and popular species of bird can live up to 10 to 20 years. They’re social and should be paired up with another bird or be given plenty of social time with you each day. Cockatoos are a family of large sized birds that have long lived lives and are native to South-East Asia and Australia. 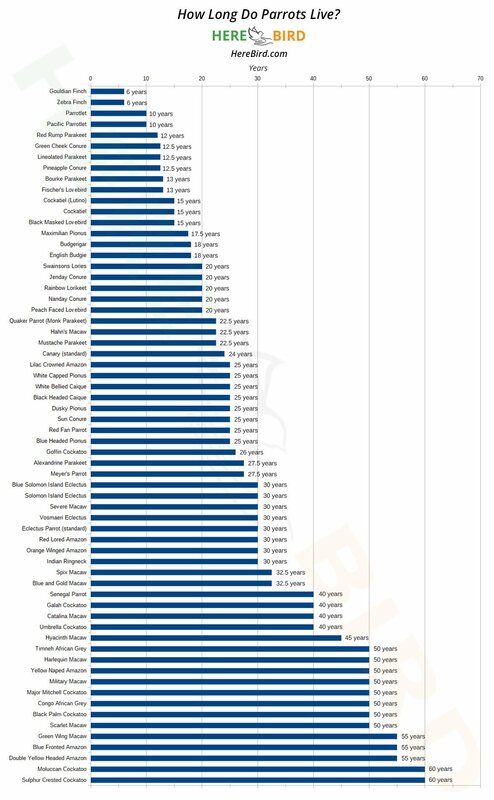 On average you can expect your cockatoo to live from 40 to 60 years. These distinctive white birds come with a bright yellow head feather. They can be very vocal and will be a part of your family for around 40 years. 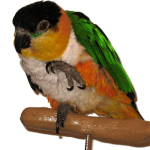 The average life expectancy for conures can range from 10 to 30 years. They come with relatively long tails and need lots of attention. Their natural habitat is in the Western Hemisphere, in particular South America. A cute, easy to look after, and fairly quiet pet bird that makes a good bird for beginners. On average they live from 10 to 15 years. Small but noisy pet birds that are smart and can live on average around 20 years. 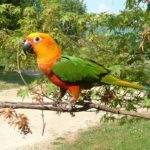 Nanday conures will on average live to 20 years and look slightly different than other types of conures because they are bigger and have a dark colored head. 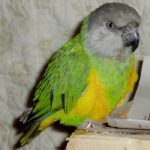 This is just a color variation created by breeding the Green Cheek Conure species and so it has the same life expectancy of 10 to 15 years. These are noisy but also very popular pet birds due to their bright yellow feathers. They usually live from 20 to 30 years. This medium-sized, beautifully feathered parrot has 3 subspecies that are commonly kept as pets and all can live for over 20 to 30 years. The male and female of these species look very different from one another. Also known as the red fan parrot, these birds come with a striking set of head feathers which they can stick up to display their emotions. They live for 20 to 30 years. 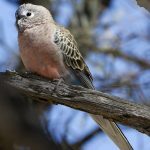 These very active and adaptable birds have become widespread in feral parrot populations around the globe. They are likely to live 25 to 35 years. These beautiful species of rainbow lorikeets will live around 20 years and are unique amongst parrots for having nectar based diets. Commonly found in Australia. Known to form strong pairing bonds with each other, lovebirds can live from 10 to 25 years, depending upon the subspecies. Originally from Africa, they have friendly behaviors but also make a fair amount of noise. Likely to live for 10 to 20 years, this species of lovebird is distinct from the other lovebird species due to the black feathers around its face. Very curious, friendly, and with a lot of energy. 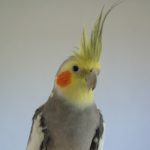 These birds are expected to live to around 13 years of age and are very popular as pet birds. Known for being friendly, these very popular species of parrot are also called the rosy face lovebird and have the lifespan of 15 to 25 years. Macaws are a group of parrots that have the key distinguishing features of long tail feathers, large beaks and often bare, white featherless faces. The lifespans of different Macaw species will range from 20 to 60 years. Larger macaws tend to on average live much longer than the smaller versions of Macaws, with the range of large macaws going from 30 to 60 years. It’s not unheard of some well looked after large much Macaws living longer than 60 years. This bird is known for its loud vocalizations and ability to mimic human speech, along with a set of very beautiful feathers. The lifespan for a Blue and Yellow Macaw is 30 to 35 years. This is a bird that is covered in red feathers, aside from its wings which are covered with green and blue feathers. The provides the bird its other name of the Red and Green Macaw. You can expect a Green Wing Macaw to live for 50 to 60 years. The largest of all parrot species this bird comes with a beautiful dark blue plumage and is quite rare and expensive to own. You can expect a Hyacinth Macaw to live for 40 to 50 years. This hybrid is created when a Scarlet Macaw is bred with a Blue and Yellow Macaw. 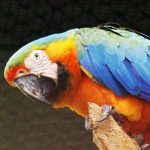 A Catalina Macaw will have a lifespan for about 40 years. A very common hybrid found amongst the cross-breeds of Macaws, you get a Harlequin Macaw when Green Wing Macaws are mated with Blue and Yellow Macaws. The lifespan for a Harlequin Macaw is around 50 years. The feathers on this bird are similar to that of a green military uniform and hence the bird gets its name. A Military Macaw is likely to live for 45 to 60 years. A classification for a group of smaller sized species of macaws that are less than 50cm in height. They tend to live for 20 to 30 years. Has a very long tail feather as one of it’s most prominent features. The macaw also goes by the name of the Chestnut Fronted Macaw. On average this Macaw is likely to live for 30 years. A cute and gentle bird species that comes with a green plumage over most of its body aside from its shoulder where a spot of red feathers is present, giving it the other name of Red Shouldered Macaw. The lifespan for a Hahn’s Macaw is 20 to 25 years. 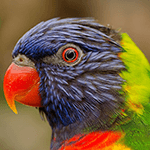 A very recognizable bird that is popular within the aviculture community thanks to the beautiful red, yellow and blue plumage that these birds have. You can expect to have a Scarlet Macaw living with you from 40 to 60 years. Now possibly extinct in the wild, and with only a couple of hundred birds left in captivity in the world. The Spix Macaw is likely to live for 30 to 35 years! Commonly found in Africa and a relatively quiet parrot species, these parrots live around 25 to 30 years. Parakeets are a very broad category of birds that cover a range of different species. Typically they can be identified from their long tail feathers and medium size. Their lifespans range from around 15 to 30 years, dependent upon the species of parakeet. These birds live longer than the normal parakeet and you can expect one to last about 25 to 30 years. Named after the historical conqueror “Alexander the Great”. These birds don’t have as much energy as other parakeets making them better suited to families with kids. They’re from Australia and their lifespan is about 13 years long. These social and friendly creatures are also called “Linnies” have a life expectancy of 10 to 15 years. They come from Central American and the Northern part of South America. A fairly rare species of bird that has striking breast feathers and is originally from South-East Asia. They’re likely to live 20 to 25 years. You can find these birds in South-East Australia and they have a unique emerald and red colors of feather. Their lifespan is around 12 years. 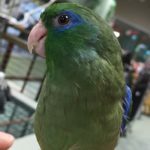 These are a very small and pretty species of new world parrot that have a big personality in a small body. Their life expectancy is fairly short for a bird at around 10 years. Affectionate but not overly energetic, these birds can make good pets for people with children and are likely to live 15 to 25 years. Known for their shivering or “quaking” behavior, these birds are very friendly and come in a variety of colors. They’re likely to live 20 to 25 years. Originally from the west coast of Africa and from the Poicephalus family of birds, the Senegal Parrot is likely to live 40 years. 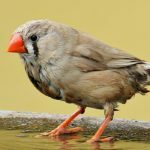 Zebra Finches are likely to live around 5 to 7 years, whereas Gouldian Finches are similar and have a life expectancy of 6 years. These birds have beautiful singing voices and can live for a relatively long time compared to their size. You’ll expect one to live for around 25 years. Parrots tend to live much longer than other animals that are of a similar size. 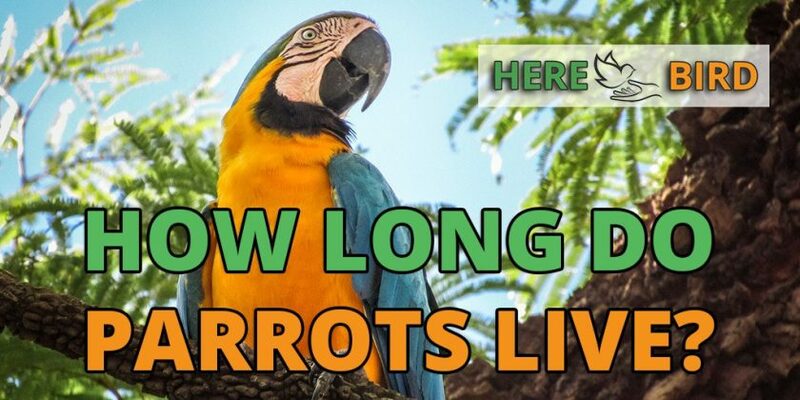 This is not just true of parrots, but in general any animal that flys tends to live longer than a non-flying animal. This in part is thanks to the fact that flying provides a lot of exercise, with exercise being well-known to increase the longevity of most animals. Parrots also have a relative lack of predators compared to other animals because they can fly away, this makes them relatively safe. What’s more, many species of parrot will live in groups to provide even higher levels of safety. The longer lifespan means they can reach sexual maturity at a later stage in life, so breeding later in life enables parrots to avoid passing on genetic imperfections that will shorten their lifespans. According to Lafeber.com, birds also have lower levels of oxidative damage which prevents corruption to their DNA. Over a lifetime this lower level of damage enables them to live longer and reduces the number of diseases. 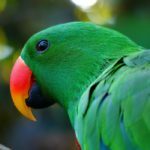 How to Tell the Age of a Parrot? Physical activity levels – younger birds tend to be much more active and aggressive than older birds. Feather plumage – older birds lose their feather vibrancy and color as they age. Beak quality – tends to become duller and change color. Eye color – might change and become lighter, more faded or grayer. Arthritis: This can cause a parrot’s feet to become weaker and not be able to grip their perches as strongly. Flatter or wider special perches may be required to help them to rest. See our guide to bird perches and bird hammocks. Cataracts: Can be tested by a vet and will cause the sight of your birds to worsen gradually over time. Signs include your birds bumping into things and not observing objects around them that they normally would. 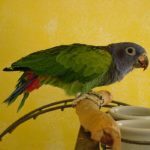 Less activity: Aging parrots exercise less and so their diet may need to be adjusted as they age, otherwise this can result in bird obesity. Tumors & lumps: Gently checking your bird for any unusual lumps or bumps will help to identify the presence of any potential cancers or other issues. 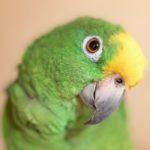 How to Increase a Pet Parrot’s Lifespan? Diet and Nutrition: This will have one of the biggest impacts. Deficiencies in vitamin A, D and calcium are prevalent with birds on seed-based diets. Care should be taken to provide your parrot with a high-quality and balanced food selection. See our full guide to parrot food here. This diet should include enriched pellets combined with appropriate fresh fruits and vegetables, plus additional vitamins and supplements are recommended. Full Spectrum Lighting: Indoor birds will require a source of full spectrum lighting that is not provided by normal lightbulbs. Without this your bird can be subject to health conditions over the long term. See our guide here. 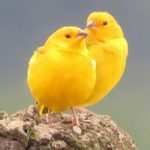 Companionship and interaction: Birds are very social creatures and keeping them on their own can ruin their psychological health. They need a lot of attention each day and often a pair of birds should be kept together, instead of just keeping a single pet. Proper housing: Incorrectly sized cages will worsen the psychological and physical health of your birds. Ensure you get the correct cage by using our guide here. Exercise: Provide your bird each day with a lot of “out-of-cage” exercise opportunities. Lot’s of bird toys will also help with this. Veterinary Health Checks: At least once a year you should take your bird to the vet to check it’s health. In case serious problems are discovered you’ll want to make sure you’re covered with bird insurance. Avoid Teflon non-stick cooking pans: A common mistake and cause of poisoning in birds, these types of cooking pans are toxic to birds and can kill them. See our full guide here. In theory a parrot should be able to live longer in captivity than it does in the wild. But in reality, things are a little different. 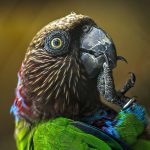 How Long Do Parrots Live in the Wild? 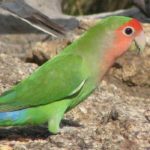 Predators, diseases and injuries all drop the lifespans of wild parrot species. But the advantage a wild bird has over a captive one is that it isn’t restricted to the unnatural environments of a home, cage or aviary. 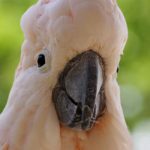 How Long Do Parrots Live in Captivity? 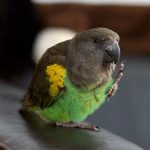 Unfortunately, many bird owners neglect or improperly care for their birds and so parrot lifespans are actually often reduced in captive birds. This can give many captive birds lower life expectancies than their wild counterparts, even though it doesn’t have to be the case. Ensure you’re not a bad pet bird owner by following some of our tips as seen in the section above. Another celebrated parrot is Tarbu, a privately owned African Grey that lived to an age of 55. You can read his life story here. Plus there is the flightless Kakapo Parrot from New Zealand which is super rare species and only has 150 individuals still in existence. The average lifespan for these birds is 60 years but some individuals have been recorded living up to 90 years.